Are new rims and a body kit worth this much? It seemed like just yesterday we were talking about Vorsteiner’s custom Lamborghini Huracan. Now just a few months later a Huracan given the tuning company’s treatment is up for sale at Lamborghini Newport Beach. We’ve always wondered how much a tune job increases a supercar’s value, and now we have at least one sample to draw from. 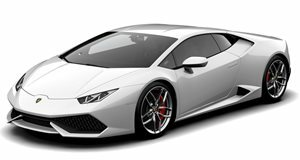 The Huracan has 1,501 miles and is priced at $294,850. For reference, a base baby Lambo sells for $237,250. Remember that Vorsteiner didn’t do any work to the engine, just the exterior. That being said the body kit, rims and carbon fiber wing look damn good. The V10 engine is rated at 602 horsepower, which is a lot of oomph, but do the extras justify the price jump?